Suitable for most standard 5 stage Reverse Osmosis Water Filters including the Watts 525P Premium Series 5 Stage Pumped Reverse Osmosis (RO) Water Filter System. These systems have 5 different types of filters. 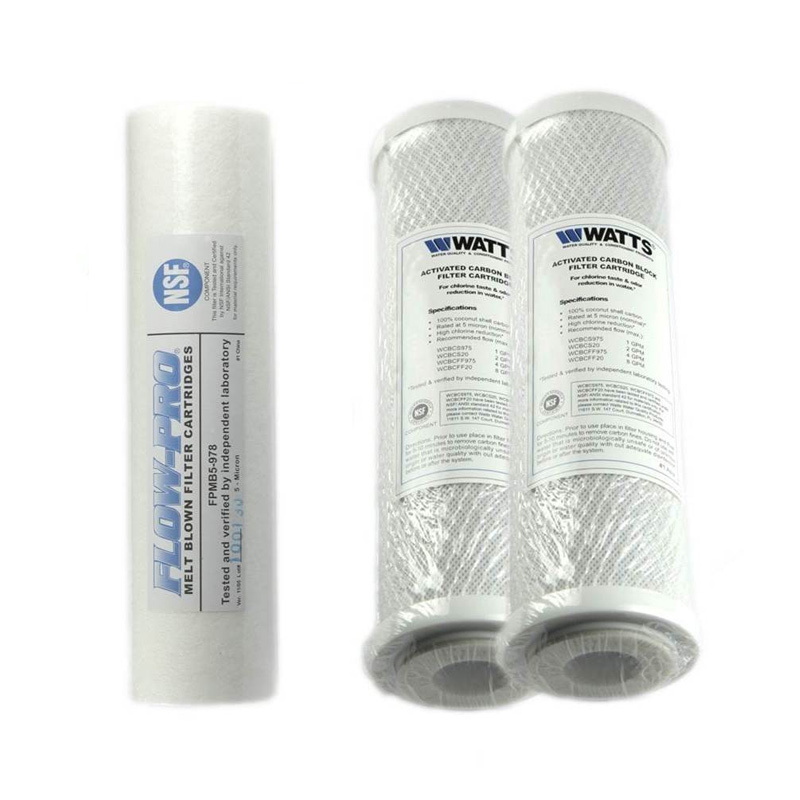 For the first three are pre-filters which come in this set, it is advised to change these approximately every 6-12 months but it really depends on your water quality and TDS reading. This 6-12 Monthly 5 Stage Reverse Osmosis Replacement Filters Pack contains the with one sediment and two carbon block filters.